A Brighter Future Ahead for MARTA? 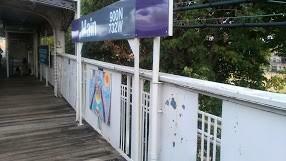 Atlanta’s transit agency has had its ups and downs over the years. Originally envisioned to serve the five core Atlanta metro counties, only Fulton and DeKalb voters agreed to pay the penny sales tax that funds its operation. A heavy rail system built in the 1970s and 1980s feels underutilized, especially compared to the continued expansion of Washington D.C.’s Metro system, which was started at about the same time. 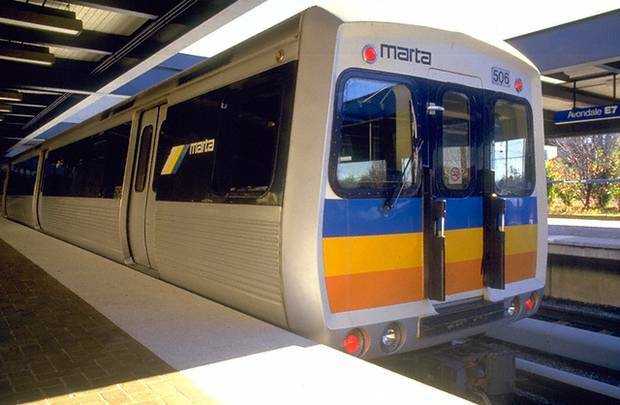 Voters refused to support a penny sales tax in a 2012 referendum that would have provided funding for an expansion of MARTA services, including rail to the Emory University / CDC area in DeKalb County. And how many times have you heard the mantra that MARTA is the only major transit system in the country that receives no state funding? Yet, the tide may be changing. Part of the reason for that, according to a story in Governing Magazine, is the leadership of General Manager Keith Parker. How Can We Better Connect Low-Income People to Opportunity? The geography of opportunity today has changed. People often traverse neighborhoods, cities, counties and even regions to access job opportunities and the essential services (e.g., healthcare, childcare, grocery stores, etc.) needed to support themselves and their families. Low-income communities are often disproportionately affected by this dynamic and cut-off from access to opportunity by sheer distance, limited access to public transit or other means of transportation, and by numerous barriers beyond physical mobility, such as lack of broadband access. So far, much of Living Cities’ work in this space has focused on advancing equitable transit-oriented development (“equitable TOD”). Equitable TOD aims to ensure that all people along transit corridors, including low-income individuals, have the opportunity to affordably access jobs, housing, health clinics, child care, and other essential services. By late 2016, Bay Area commuters will likely begin to see the first of a fleet of futuristic new BART trains barreling from San Francisco through the upper Peninsula, the East Bay and new stations slated to open in the coming years closer to Silicon Valley in Fremont, Milpitas and Northern San Jose. Huge amounts of taxpayer money and the daily commutes of thousands of Silicon Valley workers hang in the balance with the planned expansion of the Bay Area Rapid Transit rail system into the heart of the region’s tech economy. But for all the finagling it has taken to pull together the billions of dollars required for the initial extension of BART to the South Bay, not much attention has been given to the actual plans for how the system will look once it’s up and running. Think of a cleaner, faster, quieter system that’s more adaptable to commuting patterns that have shifted drastically in recent years amid rapid economic growth. The Atlantic CityLab this week took a deep dive into how BART’s $2 billion-plus plan to replace and expand its fleet of 669 train cars will stack up against transit systems in other major cities. The reasons for upgrading the trains — from concerns about cleanliness to loud ambient noise and capacity problems — are plentiful. The story gets even more interesting (and complicated) when you consider how the new service to Silicon Valley fits into the picture. 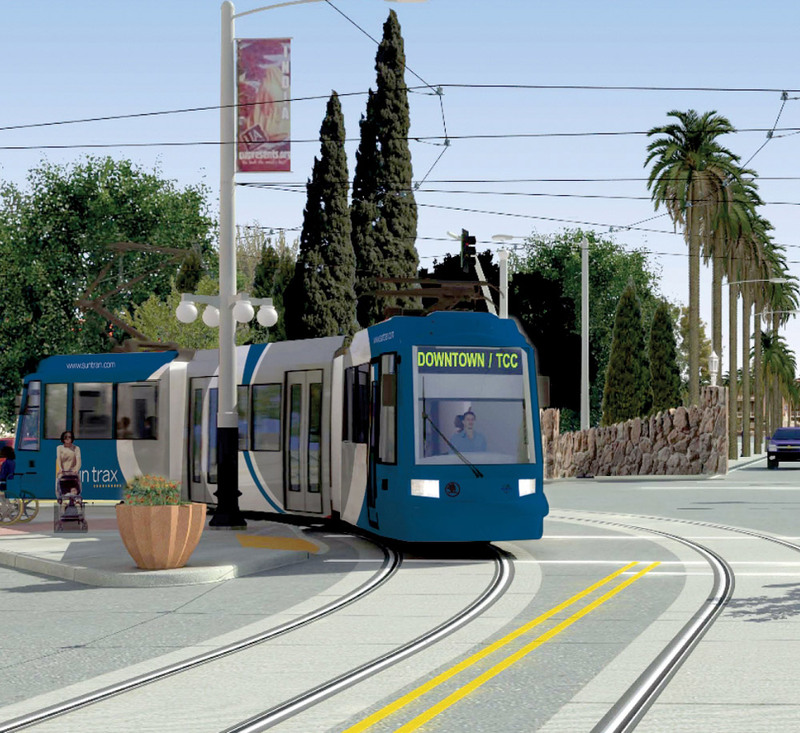 Panning out to consider the South Bay’s historic lack of efficient, centralized public transit options and perpetual highway gridlock, the stakes for improving the region’s transportation picture get even higher. Two Chicago suburbs may be changing the rules for future developments near their CTA stations so that these developments would be easy to access for pedestrians and public transit riders. The Regional Transportation Authority, the funding arm for CTA, Metra and the suburban Pace bus system, announced this week it is giving money to Evanston and Forest Park to promote transit-oriented development near CTA stops. The projects were awarded through the RTA’s annual community planning program, intended to spur economic development near transit. This year, the RTA doled out $810,000 among 16 programs. The money comes from RTA, federal and locally matched funds. In Evanston, the RTA awarded $25,000 to the city to study whether its zoning ordinance should be changed to allow fewer parking spaces at new developments by the CTA Purple Line and Metra stations. The city’s goal is to increase the use of public transportation and eliminate unncessary new parking spaces, according to the RTA. Chicago adoped similar rules last year. Developments “may not need as much parking because people are going to access it via transit,” said Heather Tabbert, RTA’s manager of local planning and programs. Tabbert said Evanston commuter and street parking would not be affected by the potential changes. Will New York’s New Bridge Spur Development? Savvy travelers seeking to avoid the crawling pace of the George Washington Bridge (of Bridgegate fame), which carries I-95 over the Hudson River but snarls with city traffic in the Bronx, have long opted for the Tappan Zee Bridge farther north. 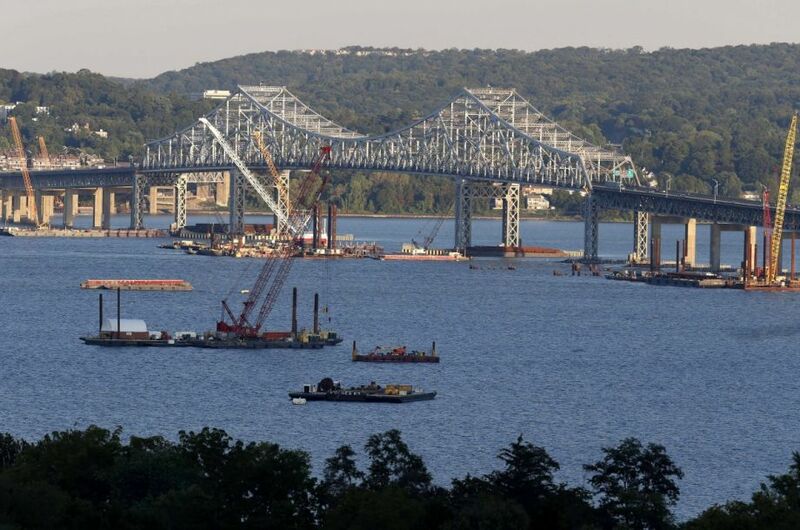 After only 50 years, however, the Tappan Zee — opened in 1955 — is slated for a replacement. While allowing bikes, pedestrians and mass transit to use an interstate highway would have been unthinkable in the era of the Eisenhower interstate highway boom, the 21st-century bridge, even in the suburbs, will be multimodal. At three miles, the Tappan Zee is the longest bridge in New York State, even though there are many other spots where the Hudson is narrower. The reason: Any farther south and it would have fallen under the jurisdiction of the Port Authority of New York and New Jersey. Instead, the New York State Thruway Authority, wholly under Albany’s control, owns and operates the span. That means the burden falls squarely on Governor Andrew Cuomo, who is up for reelection this fall. Thus far, he can boast of an under-budget project slated to cost $4 billion by the time both spans are completed in 2018. For now, the first pilings are popping out of the Hudson alongside the existing bridge, which carries 40 percent more cars per day than initially anticipated. Of them, a whopping 98 percent are single-occupant vehicles, something that the new bridge — which does not yet have a name — hopes to alleviate. As cycling’s popularity grows, developers say amenities for bikers are on the rise, from bike concierges to rides with pros. Photo: Mike Belleme for The Wall Street Journal. A bike valet will offer tuneups and tire changes to spandex-clad commuters and residents at Hassalo on Eighth, a multiuse residential and office complex in Portland, Ore., expected to be completed next year. At the new Vélo North Loop, a high-end rental building in Minneapolis, tenants can use the “bike kitchen”—a bicycle repair area with tire pumps and spare chain links, as well as a bike wash. A shop with trail maps and energy bars is in the works. 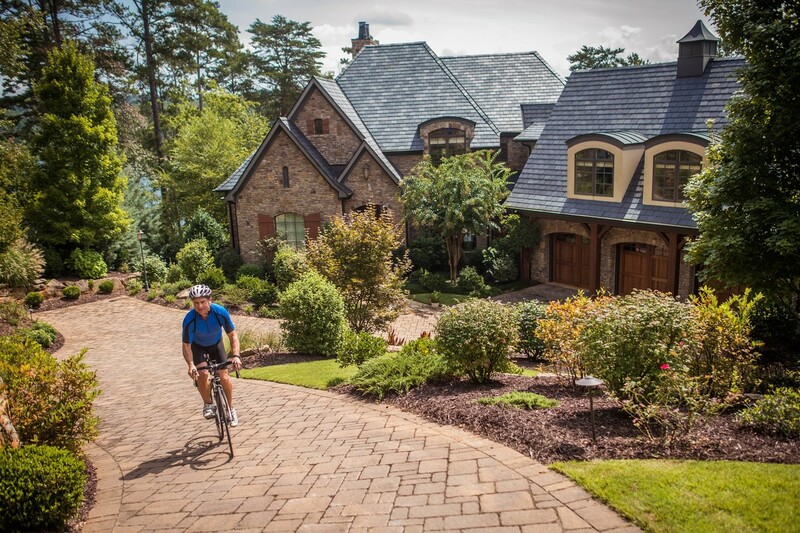 The Cliffs, a series of golf-resort communities in North and South Carolina, has enlisted a 17-time Tour de France rider to offer group rides for homeowners and potential buyers through the surrounding countryside of the Blue Ridge Mountains. The rising popularity of cycling is driving a new type of housing: the luxury, bike-friendly development. As cities, suburbs and rural communities race to add bike-share programs and lanes and trails for cyclists, developers and home builders are rolling out amenities designed to woo more bike riders and stand out from the competition. And by bulking up on bike-friendly amenities, developers can go after both ends of the demographic spectrum—20- and 30-somethings who want to live closer to work as well as older baby boomers looking for a more walkable, bike-able lifestyle. Seattle’s Velo building in Fremont is built right off the Burke-Gilman bike and recreation trail. Opening this weekend, the 171-unit building, like Vélo North Loop, takes its name from the French word for bicycle (the two buildings are unrelated). It offers a bike-maintenance area as well as a bike wash and storage, both in the garage and on the main level. Apartments will also have bike-storage niches.